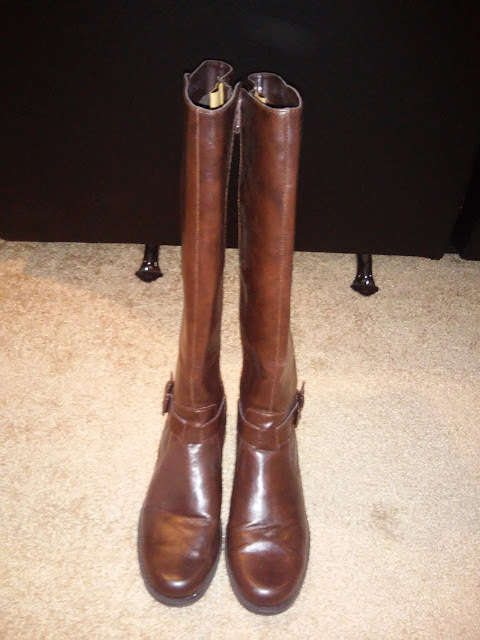 I must admit I really like the cooler Fall weather because it means it is BOOT season again! I am a big fan of wearing boots! I think they can really perfect a cute outfit. But what I don't like is how uncomfortable a lot of boots can be. I can walk around in my boots for usually only a couple minutes before my feet really start aching! Usually, I have to choose comfort or style....until my feet met AEROSOLES! AEROSOLES is the leading shoe brand with over 20 years of experience in the footwear industry! They offer all seasonal on-trend, comfortable shoes which feature unique design technologies. From trendy sneakers and knee-high boots to classic flats and comfortable heels, AEROSOLES’ fall collection is perfect for women of all ages on the go. I received (AND LOVE!!!) 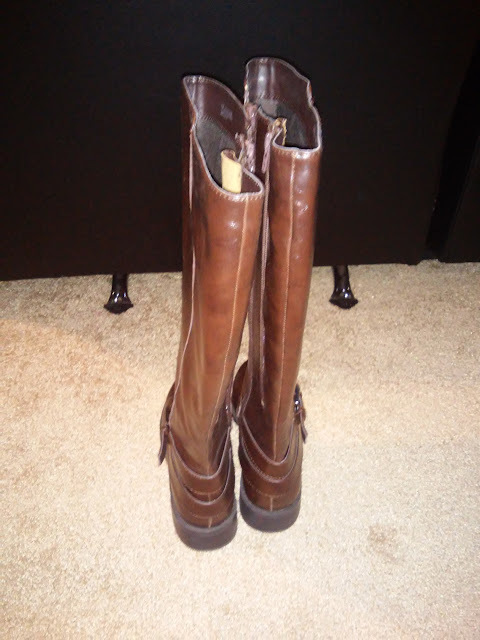 my new With Pride Boot in Brown Faux Leather from Aerosoles! They are SO Comfortable, cute and stylish and I just want to wear them with every outfit and get them in EVERY color! They are built with a rounded toe, 1" heel and wraparound ankle strap with buckle. My favorite part is the Extended Calf double zipper entry which extends calf width up to 2" for extra room when you need it. Plus, it offers a Comfy memory foam footbed, too! This is what helps me walk around comfortably in these boots for hours!!! These boots came up to right below my knee on me and are so cute with leggings, skinny jeans and even a dress! I love the color, the material and the fit. They were the perfect fit! The Extended Calf Technology gives boot lovers twice the comfort with not one — but two zippers. 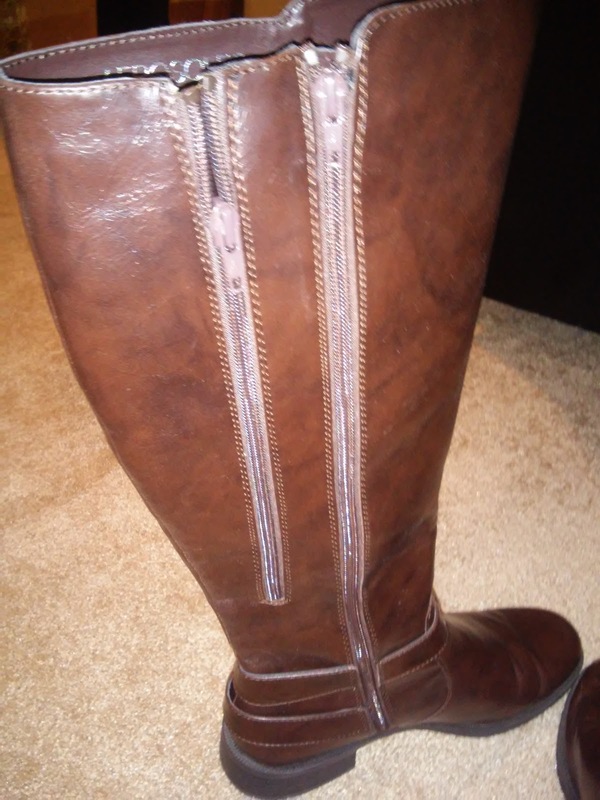 Close the second zipper and your knee-high boots fit like a glove. Keep it open and suddenly you’ve got an additional two inches of give to accommodate athletic calves, thicker socks or tucked in jeans. Plus, these boots feature the Diamond Flex Soles. You will always know an Aerosoles shoe by their unique diamond flex sole found on every pair. These rubber composition soles with a unique diamond pattern are designed to disperse friction away from the foot. 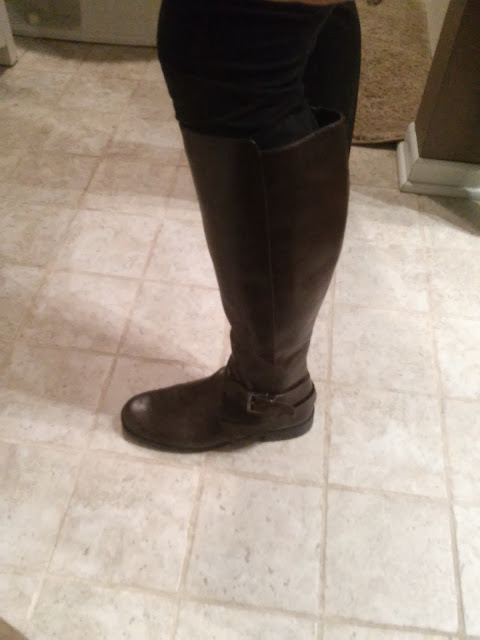 I wore these boots on a date with my husband and walked around the mall for a couple hours to test them out for comfort. I was so happy to get done at the end of the night and not have blisters, sore, achy feet or total discomfort! These are by far the most comfortable and cute pair of boots I own and I seriously am thinking about getting them in all colors! 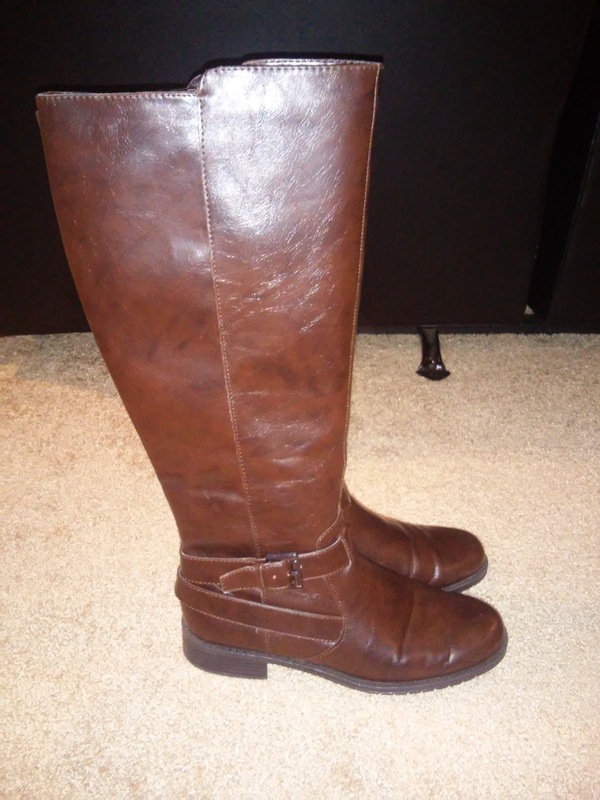 If you are looking for a new pair of Fall boots but don't want to sacrifice comfort, I highly recommend these With Pride Boots from Aerosoles! You can purchase the With Pride Boot for $96 from the Aerosoles website.